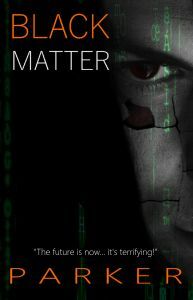 I have the pleasure of bringing a new book review to my blog today – Black Matter by GD Parker. Feeling reminiscent of an episode of Black Mirror, Parker swiftly dives into an age where technology has advanced to help us maintain a healthy lifestyle. 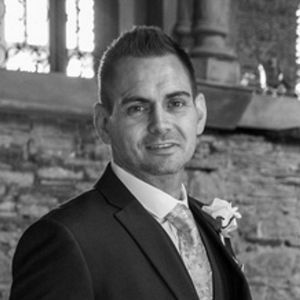 Combining vital information from your own body with an advice based app this highly personalised system has mass appeal. What if it falls into the wrong hands though, and whose hands are they? What limits can it go to, to wreak havoc, destruction and even death. This page turner thriller isn’t my normal preferred reading material but I was hooked by the story line and intrigued to review it and share my thoughts with you. The writing style was light and easy to read, albeit the language used in conversations between characters was a little excessive in my opinion and didn’t enhance the overarching narrative. For me in some ways this was actually a bonus; I could turn the light out at night without the words reaching out from the pages and bruising the silence of reality. What the novel lacks in character conversation though it certainly makes up for with the plot line. Twisting and turning through one crime to another you can see horror on the horizon but still be surprised at how it occurs. When the eventual perpetrator is revealed it wasn’t who I expected it to be, and on rereading parts of the book I’m not sure that every aspect linked up. Then again, an unforeseen twist is a sign of a good read. If you enjoy easy to read fiction that keeps you guessing until the end then I think this is for you. The first of a series, I am intrigued to see what Parker has up his sleeve for his next novel. Thanks go to GD Parker for supplying me with a copy of his debut novel for review purposes, and to Rachel’s Random Resources for organising the tour. All thoughts are of course my own. For more information please see my disclosure page. “GD Parker is the author of his debut novel, Black Matter. Book one of a three-part series that explores the depths of the unfolding high-tech world we now live in, making it a dangerous place. this book sounds like an interesting read. thanks for sharing. You’re welcome! I especially liked that the plot line didn’t feel far fetched.